Eventmasters are thrilled to operate as an officially registered agent of WRU hospitality. We allow you to enjoy world-class entertainment at the home of Welsh rugby with Principality Stadium hospitality packages in 2019/20. Entertain your important clients and guests at the Six Nations and Rugby World Cup Warm-Ups with a wide range of VIP corporate hospitality facilities at this iconic stadium and savour a matchday atmosphere unlike any other. 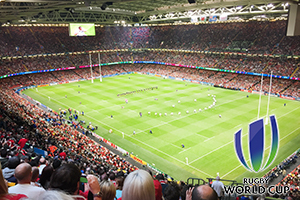 February - March 2019 The fabulous Principality Stadium plays host to each of Wales' home fixtures including those within the anticipated Six Nations. The 2019 tournament sees Wales take face a host of International rivals including England on Saturday 23rd February and Ireland on Saturday 16th March. With exquisite hospitality packages available, we are guaranteed to give you a day at the rugby like never before. August 2019 The fabulous Principality Stadium plays host to two of Wales' summer warm up fixtures for the Rugby World Cup in 2019. These games will see Wales face International rivals including England and Ireland. With our exquisite hospitality packages available, we are guaranteed to give you a day at the rugby like never before. 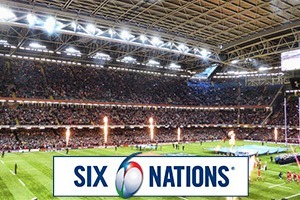 Autumn International 2020 Book VIP Rugby hospitality for the Autumn Internationals in 2020 at the renowned Principality Stadium. The Principality Stadium, the former Millennium Stadium, is the home of the Welsh national rugby union team. Initially built for the 1999 Rugby World Cup, it has diversified into many other large-scale events and also hosts Welsh international football matches. Opened in June that year, its launch featured Wales beating South Africa in a friendly by 29-19 before a test crowd of 29,000. With a total seating capacity of 74,500, it is the third-largest stadium in the Six Nations Championship behind the Stade de France and Twickenham. It is also the second-largest stadium in the world with a fully retractable roof. It is absolutely awesome and produces a fantastic atmosphere. The Visit Cardiff visitor and tourism website describes the thrill thus – “Explore the magnificent Principality Stadium, one of the most impressive icons of modern Wales. Discover the 2012 Olympic football dressing room and experience the atmosphere before a match in the Dragon’s Lair, Wales’ rugby team dressing room. And that’s just a taste of the action as Wales run out on a big Six Nations occasion. It sends shivers down your back, sets the hair on end and scares opponents. The name change came about as a result of a partnership between the Welsh Rugby Union and the Principality Building Society, a 10-year investment commitment in Welsh rugby by the company. At the official handover in 2016, WRU chairman Gareth Davies pledged it was the start of a new era. He said: “The current stadium has been in situ for the last 16 years and has hosted more than seven million rugby supporters in 110 matches involving Wales. “There have been some other significant events such as FA cup finals, rugby league finals, world boxing fights and some fantastic concerts. We are delighted to go into the next era of development. Principality have been in a working partnership with the WRU since 1969. 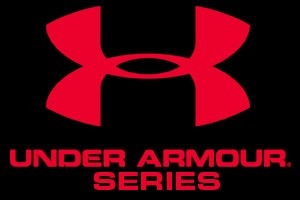 Welsh coach Warren Gatland noted: “The national stadium is a very special place for everyone involved in Welsh rugby. I’ve said it before, but the stadium is simply the best rugby stadium in the world. The Stadium actively generates more than £130 million for the local economy each year. It is a must experience for every rugby fan wherever they are from and whoever they support. Secure your Six Nations and Rugby World Cup warm-up tickets and hospitality today.